Roosebeck Turkish Oud 12 String Set RBSOUDT. 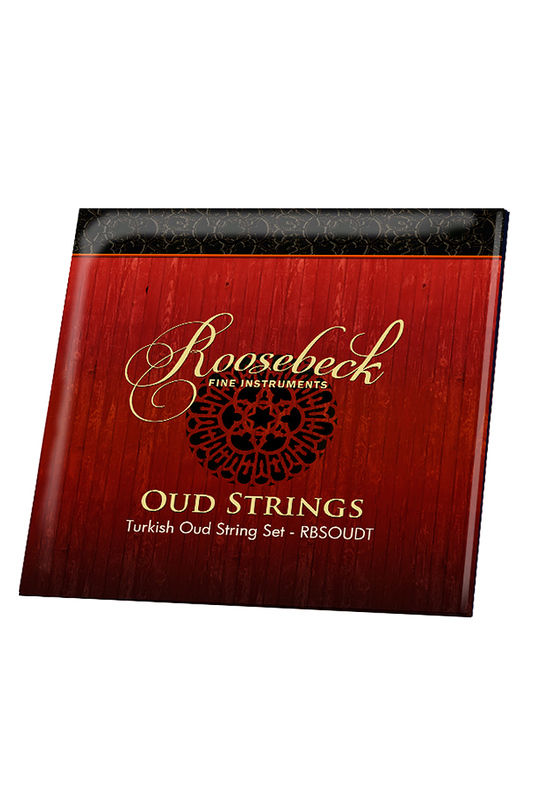 Roosebeck Turkish Oud Strings are made with a heavier gauge, especially for the smaller size and higher tuning of the Turkish oud. 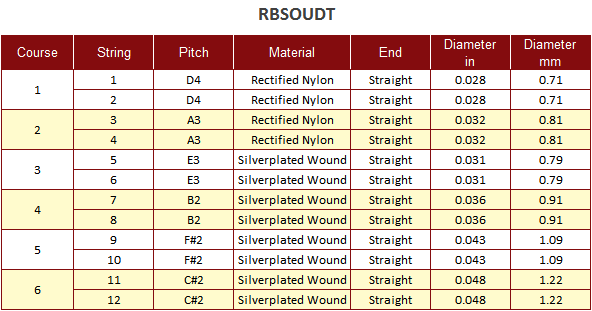 The set includes 12 strings, 8 of which are wound. The strings are rectified clear nylon with silver plated copper wound bass strings.